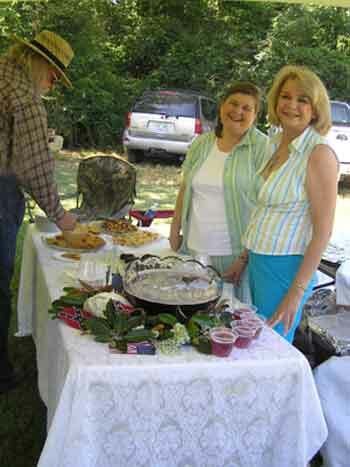 On May 20, 2006, a large crowd gathered on the grounds of the Champion House on Champion Hill Road for the unveiling of a Confederate headstone honoring Sid S. Champion and for the dedication of the book Darwina’s Diary: A View of Champion Hill ~ 1865 edited by Margie Bearss and Rebecca Drake. 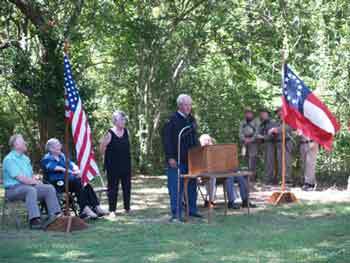 Cannon smoke and the sound of bagpipes filled the air as spectators watched the unveiling of the headstone memorializing Sid Champion, Co. “I”, 28th Miss Cavalry, whose house was burned by the Yankees following the Siege of Vicksburg. Sid, along with his step-brother, Nathan Champion, and his nephew, Bob Champion, fought through the Vicksburg, Atlanta and Tennessee campaigns before being mustered out in May of 1865. Hosting the event was Sid J. Champion, great-great-grandson of Sid and Matilda Champion. 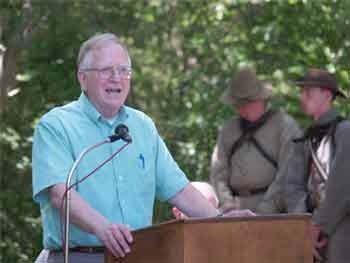 Grady Howell, Jr., one of Mississippi’s foremost Civil War authors and historians, was the featured speaker. 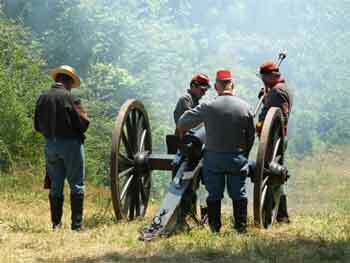 Participating in the artillery salute were: The Tishomingo Avengers (Confederate Color Guard); 13th U.S., Company A, Union Color Guard (Indianola); Rankin Rough and Ready SCV Camp No 365 (Brandon); Swett’s Battery and an artillery group from Clinton. 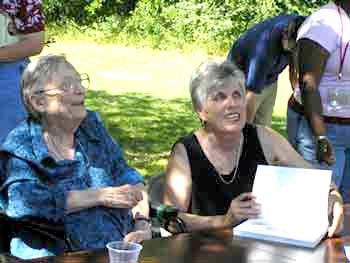 Following the headstone dedication, Margie Bearss and Rebecca Drake dedicated their latest book, Darwina’s Diary: A View of Champion Hill ~ 1865. The diary, written during August-September of 1865, relates the experiences of Darwina Loud, young woman who traveled South in 1864 to help in the field of black education. A year after her arrival, she was assigned to the 52nd U. S. Colored Infantry stationed at Midway Station, Mississippi, once a railroad stop located midway between Jackson and Vicksburg and Edwards and Bolton. Darwina loved teaching the ‘slaves turned soldiers’ how to read and write while living in the “swamps and woods of Mississippi - in the lonely camp of a regiment of black soldiers.” The diary reads like a verbal painting as she captured the sights and sounds of Midway Station - an area now known as Champion Hill. Larry Dorl, great-grandson of Darwina and Edward Burton, accompanied by his wife, Marilyn, and daughter, Lori, traveled from Grove, Oklahoma, to be present for the historic event. 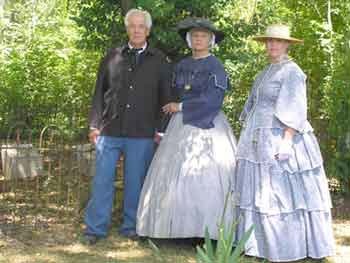 To the delight of the crowd, the Dorl family appeared in period dress. Larry was dressed in a 2nd lieutenant uniform (Union) similar to the one his great-grandfather, 2nd Lt. Edward Henry Burton, would have worn in 1865, while Marilyn and Lori dressed in fashionable hoop skirts decorated with period jewelry. 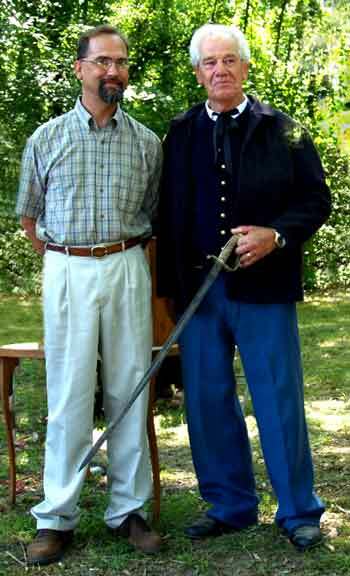 Also, to the delight of the crowd, Larry brought with him his great-grandfather’s sword that he carried with him during the course of the war. 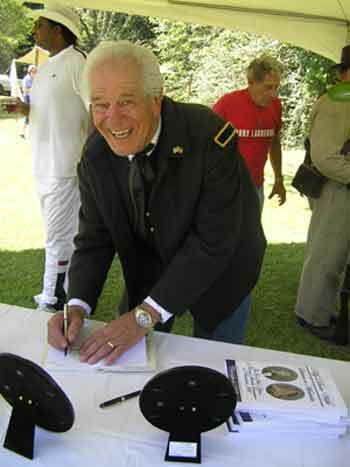 The event, netting approximately $2,000 for battlefield preservation, was sponsored by the John C. Pemberton SCV Camp No 1354 from Vicksburg. 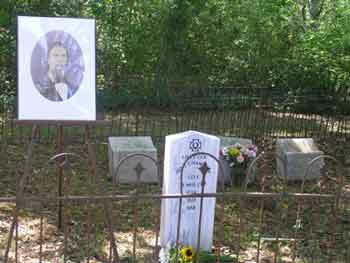 The Champion family cemetery located in the grove of the Champion house. Buried in the family plot are Sid and Matilda Champion and two of their sons, William Balfour Champion who died at age 10, and Dr. Wallace Champion. 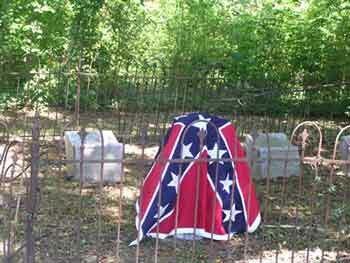 Sid S. Champion’s Confederate headstone draped with the Confederate flag before the unveiling. 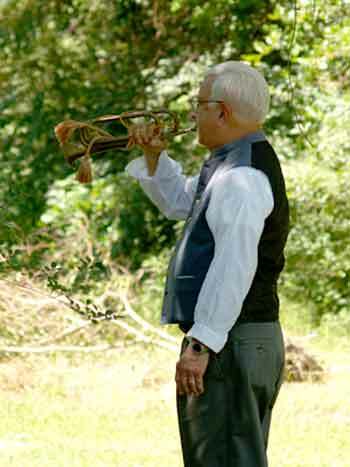 The flag was later presented to Sid J. Champion, fifth generation Champion to bear the name Sid Champion. 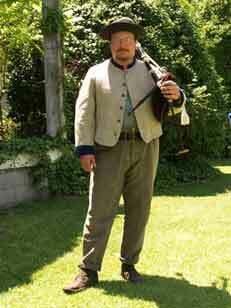 Sid S. Champion for this 3-year service to the Confederacy. 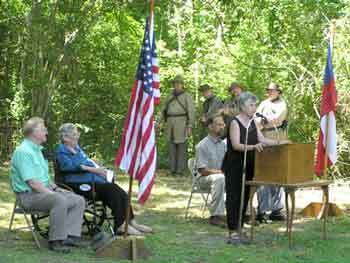 Rebecca Drake speaks at the dedication of Darwina's Diary. 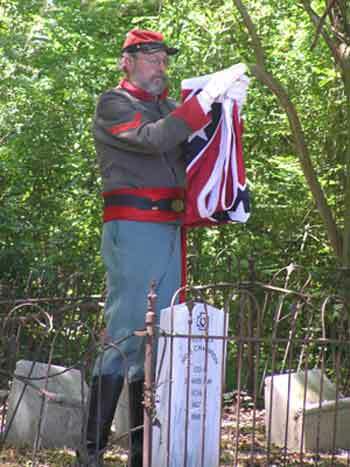 Charlie Brantley, member of the John C. Pemberton SCV Camp, Vicksburg, unveils the Confederate headstone honoring Sid S. Champion. Larry Dorl, Grove, Oklahoma, signing his great-grandmother Darwina Loud Burton's newly published diary. The diary has been in the possession of the Burton family since 1865. 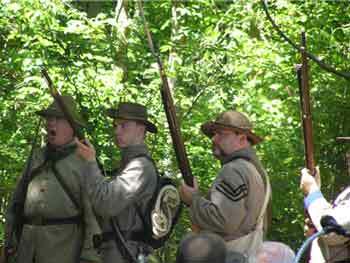 72nd Illinois Infantry and 52nd U. S. Colored Infantry. Grady Howell Jr., guest speaker, pays tribute to Sid S. Champion, Co "I" 28th Miss Cavalry. Larry Dorl addresses the audience expressing his appreciation for the event honoring his great-grandmother. 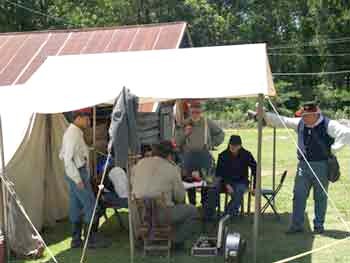 Union and Confederate re-enactors enjoy visiting in camp sites set up around the old Champion House. Once again, after 143 years, the sound of cannon fire filled the air at Champion Hill as Swett’s Battery thrilled the audience with a salute to Sid Champion. 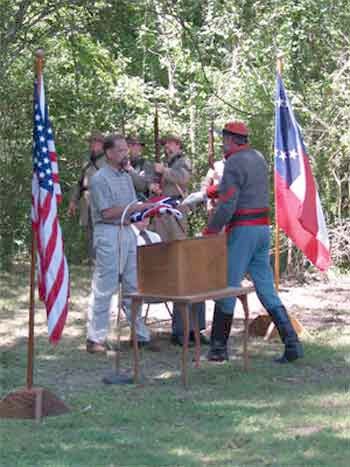 Charlie Brantley, re-enactor from Edwards, presents the Confederate flag to Sid J. Champion who represented the Champion Family.